Welcome to musicians, vertuosos, and music lovers alike! Put on your listening ears and enjoy the many wonderful sounds of the orchestra! Learn about the incredible instruments used to produce all of the melodious sounds, composers, soloists, conductors, and some history about music around the world. Don't forget to enjoy some of the games too! Just click on Kidzone to begin! Exciting Music Events at RRLS! We have the wonderful opportunity to share our faith and God-given musical abilities at the following scheduled events. Mark your calendars now, and we will see you there! All K-8 students meet at 9:30 a.m. in the music room. Although this is not a required event, we encourage every student to attend to participate in leading worship to God's glory. Leading in worship is a great opportunity! The students will sing at both 9:45 a.m. services (in the sanctuary, then in the CAC). ***Students will be dismissed from the music room back to parental care immediately after singing. 5th through 8th grade Christmas Concert plus ALL band students. All students in the participating grades are required to attend this concert. Band students will receive instructions where and when to meet from their band director. Pre-service music will begin at 6:45 p.m.. 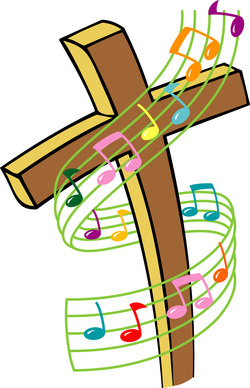 The concert begins at 7:00 p.m..
K-8th grade will sing at various services for National Lutheran Schools Week. Although this is not a required event, we encourage every student to attend at least one service. Plan to join us for one of the Saturday night or Sunday morning worship services! More details will be presented in music class. Kindergarten through 4th Grade will perform at the Spring Concert plus ALL band students. This is a required events for students in the participating grades and band. All students will report to their homerooms at 6:45 p.m.. The band pre-service music will begin at 6:45 p.m. and at 7:00 p.m. the concert will begin.